Nobita hatches a 22nd century egg and out comes a small typhoon, which he treats as a pet. Then Japan suffers a major typhoon which is heading towards their house which has a loose roof and the little typhoon goes out to try and stop it. To avoid getting hit by Gian, Nobita uses a shower which makes it look like he is several feet away from his actual position, which allows him to kick Gian without retaliation. Nobita who was born on August 7 checks his astrology in a comic and thinks he is due a good week. Doraemon gives him a small mechanical bug which if you predict something, it can come true. The problem is that Nobita is a pessimist who thinks the worst, and it was last week's comic he was using. It starts with Nobita asking his mother for money. She refuses and says to Doraemon that she will give it to him the next day, but he wants it today because of the new comic book series he hasn't bought. And his friends did and will laugh at him if he hasn't bought the comic. Doraemon gives him a checkbook out of his 4D pocket and tells him to write the amount of money on the check and sign it. Nobita writes the amount of money for the comic book, but accidentally writes 1500 yen. Nobita fears that the cashier will not accept, but he successfully buys the book and the cashier gives him 1350 yen. Nobita buys a box of toy airplanes, three cars, a big house and gives Suneo and Gian 1000 yen each with the checkbook. Nobita's mother and uncle give him money but the envelope is empty. He asks Doraemon about this, but he tells him that the checkbook's money is from a future deposit to take out and it was all used up so the envelope is empty. Doraemon takes out a calculator and finds out there will be no more money for Nobita until he is 43 years old and it is summer. Doraemon tells him to ask the cashier for check refunds and he leaves while Doraemon sleeps. It starts with a baseball thrown into a window. The owner scolded Nobita even though Gian does it but he forces Nobita to admit. He scolded to Doraemon why don't the owner change the glass to metal? 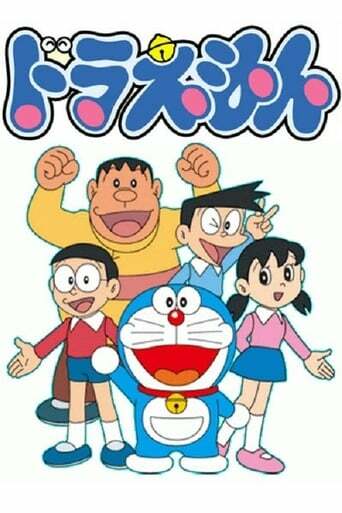 Doraemon give Nobita the Materials Quality Changing Machine and he change many things to another material. Gian took it but requested Doraemon to repair it after accidentally turning his house to paper house. Shizuka likes flowers but Nobita has none. However a magic pen allows flowers or trees drawn on paper to come alive. When Doraemon tries it to make a tree house, he unknowingly uses a bit of paper with an advert for a washing machine on the other side with drastic results. Doraemon and Nobita fought over one cake, and Doraemon decided to increase the amount so that both can have a share. Doraemon plants the cake like a seed into the soil of "Special Bonsai" and waters it twice. The plant grows fast in the process of flowers dropping and bearing 14 fruits. The fruits all contained a similar cake each, and both boys are unable to finish them all. 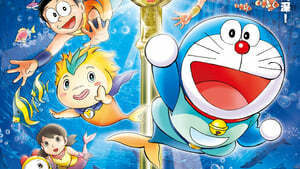 Doraemon felt thirsty and Nobita suggested repeating the procedure with a bottle of orange juice, which they succeeded. They are also unable to finish all the orange juice, and Nobita suggested getting Shizuka to come over for the cake and drinks, as well as bringing along her favourite doll. Together, Nobita and Shizuka increased the number of dolls and toy cars using the bonsai, and played with them on the road. Suneo and Gian were shocked at the number of similar toys they had, and upon Nobita's explanation, Gian robbed the bonsai and coerced Nobita into telling him the instructions, but Nobita told him only to plant the item he intend to increase as a seed (without watering it). Gian did so with a 1000 Japanese yen note, and the plant bears smaller and fewer fruits due to lack of water. Gian cried upon opening all the fruits only to find that the notes are so tiny that renders it unusable.